With essays by Caroline Kesser, Stephan Kunz, Walter Keller, Peter Weber, Mara Züst et al. Raised in a home that also served as headquarters for his father's publishing house, the Albert Züst Verlag, Andreas Züst himself began to publish books in 1994. While these publications were, at first, relatively small productions composed in collaboration with artist friends, by the end of the decade Züst's projects became increasingly ambitious. One outstanding example of his editorial work during this period is "Karlheinz Weinberger: Photos, 1954-1995". Unfortunately, plans to further develop this publishing endeavor came to an abrupt end with Züst's early death. 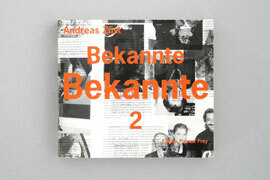 In Andreas Züst's lifetime, five publications of his work were released, including two exhibition catalogues, and books entitled "Kamera", "Bekannte Bekannte", and "Bekannte Bekannte 2". "Bekannte Bekannte" (Notable Acquaintances) was released in 1987 as book No. 1 at Edition Patrick Frey. The book's contents-561 snapshots of over 600 individuals, each accompanied by witty captions-were developed in collaboration with the artist Olivia Etter, who was also involved in the staging of many of the images themselves. 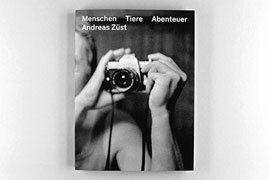 This was not so much a traditional photography book as a guided tour through Züst's vision of two decades, a series of impressions of the seventies and eighties. As Patrick Frey once described it, this publication was a "collective memory book." There have been several posthumous publications since. 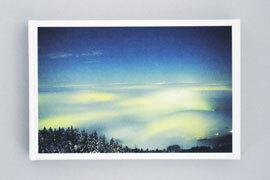 The Images in "Fluoreszierende Nebelmeere" (Fluorescent Seas of Mist) capture the winter fog that, illuminated from below by artificial light sources, blankets the Swiss plateau. The approximately sixty pictures that make up this series belong to the "Heaven" image cycle, the basis for which was a multimedia installation that originated in a fruitful collaboration with Peter Weber, a Swiss writer similarly interested in fog. 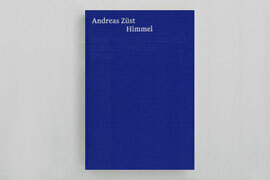 Weber also served as co-editor, with Mara Züst, of the publication "Himmel" (Heaven), that gathers Andreas Züst's most important images of celestial phenomenon, presenting these photographs in conjunction with texts written by various authors as well as with topical, excerpted fragments from books in his private library. Various further publications are under consideration, publications that might include an as-yet untouched collection of photographs of the Arctic or Züst's images of extraordinary architectural structures. These photographs from the estate of Andreas Züst are dealing with the phenomena of seas of fog which are illuminated from below by the lights of our civilisation, and therefore become fluorescent. 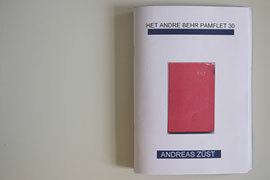 The book contains the most important aspect of Andreas Züst's “Sky”-series. These photographs were taken on top of the mountain Bachtel in the canton Zurich, Switzerland, in 1999 and 2000, only a few months before Andreas Züst's premature death. Züst has beautifully captured the phenomena of winterly seas of fog that are illuminated from below by street lights, buildings, civilization in general. Swiss author Peter Weber called this “fluorescent seas of fog”. Peter Weber also wrote an additional, poetic and literary text to go with these images. He used to collaborate with Andreas Züst since mid of the 1990s, both chasing after aesthetically impressive, scientifically interesting natural phenomena. 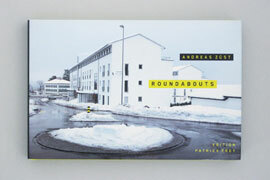 For years, Andreas Züst, the late photographer, meteorologist, publisher, collector, and patron of the arts, took photographs of roundabouts in Europe, America, and Asia. Almost everything can manifest itself in the center of a roundabout, endowing this non-place with a meaning that we only casually glimpse while driving by: advertisements for local businesses, historical allegories, artworks, craft, monuments of ruling ideologies and religions—as though man could not abide a void. These wry photographs, with their delight in the absurd, are a prime example of an anthropology of everyday and popular culture inviting the reader to reflect on cultural and social differences, vernacular culture, and man’s horror of the void. At time of his premature death, Züst was preparing the publication of this book. Bekannte Bekannte 1 is the first and legendary photo album of Zurich-based painter, photographer, naturalist and publisher Andreas Züst, with additional photographs by his friends. 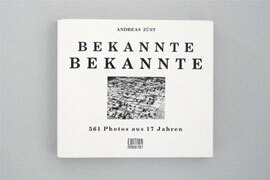 “Bekannte Bekannte” are 561 snapshots or carefully arranged tableaux (many of them created with the help of artist Olivia Etter) with sharp-tongued, detailed captions—a collective book of mementos, a photographic register of over 600 personalities who have graced the social scenes of Zurich, Cologne, Hamburg, and elsewhere over the past years in the 1970s and 80s. You may know them from seeing, now you can find out who they are. In this book, Andreas Züst and Christoph Herzog, whom Züst described as "canny artist, musician, and mycologist", offer us a look at the first and second of January 1981. It comprises 43 self-portraits, playful experiments with slide trays, leopard-skin ornaments, and ironing boards, which were straight away recorded on film. It remains open, however, whether the images show the end of a wild new year's-eve-party or whether they show the first party in 1981. 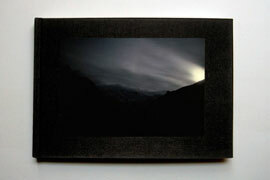 The photos in “Nacht” were originally presented as a slide show, the form of presentation preferred by Andreas Züst. The current book represents the photos in the original order as presented by him utilizing. A very special technique of printing, offset together with lithography, characterizes the 80-piece series. The photographs represent the peculiarity of his work; a composition utilizing the power of observation and the skills of a researcher together with a multitude of subtle expressions and stylistic devices of an artist to his very own poetic visual language. In “Nacht”, he presents himself as wanderer with a keen sense and understanding of nature, a researcher and discoverer, a photographer and an artist with an addiction to something nebulous and undefined. In anthropology, the term “memorizer” signifies a person who remembers the history of his clan. To a large degree, this was the role that Andreas Züst fulfilled. He did not merely collect art, but also stories and events. He chronicled everything that attracted him and was part of his life. His archive of photographs and his art collection, comprising more than 1'500 works, have become a unique document of cultural and art history. With a comprehensive illustrated work list and more than 150 color plates as well as numerous photographs by Andreas Züst. 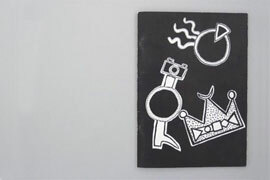 Texts by Dora Imhof/Bice Curiger, Martin Jaeggi, Walter Keller, Caroline Kesser, Stephan Kunz, Dietmar Rübel, Madeleine Schuppli, Peter Weber, Mara Züst. Including a DVD with 10 interviews by Peter Mettler with Anton Bruhin, Bice Curiger, Olivia Etter, Patrick Frey, Urban Gwerder, Ize Hollinger, Walter Keller, Peter Mettler, Jan Voss, Peter Weber. 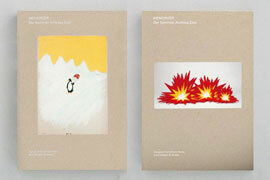 The catalogue is published on the occasion of the exhibition at Aargauer Kunsthaus, Aarau. By the late 1970s, Andreas Züst had begun to photograph the atmosphere’s optical and meteorological phenomena, capturing lightening, twilight, the foehn effect, halos, iridescent clouds, nighttime seas of fog, misty arcs, sundogs, northern lights, purple light, sun columns, sun and shadow rays, weather fronts, the “Brocken Spectre,” and zodiacal light. In the mid-1990s, Züst met the writer Peter Weber and the two men began a fruitful collaboration. This relationship later found its expression in a multimedia exhibition entitled “Himmel” (Heaven), a work that included the most important of Züst’s celestial photographs. While the exact selection and sequencing of these eighty-one images was later continuously revised, this initial group of photographs nevertheless presents the essence of Züst’s engagement with the sky and with celestial phenomenon. A publication of this work, including over 150 images, also compiles complementary texts composed by a diverse group of authors on the subjects of relevant heavenly phenomena. Michel Mettler explores weather conditions and imagines heavenly phenomena that beg for interpretation and invite self-reflection; Peter Weber chronicles Züst’s impulse to engage with others and share his ideas; and Bernd Stiegler writes about imagery and visualization in the natural sciences. An inspired and richly illustrated conclusion describes Mara Züst’s and Stefanie Sourlier’s own forays into Andreas Züst’s extensive library, in which so many volumes refer to the heavens, whether in a scientific, religious, literary, artistic, or casual context. Included in the Andreas Züst archives are extensive records of the weather kept by the artist; the earliest starting in 1957 and up to 1961. These include, with few exceptions, the temperature noted thrice a day, and, from 1962 to 65 weather conditions and rainfall as well. “1957” appeared as a facsimile edition in the series HET ANDRE BEHR PAMFLET by Boekie Woekie and is supplemented by a text by Jan Voss. The book «Menschen Tiere Abenteuer» by Andreas Züst is released by Edition Patrick Frey, edited by Mara Züst and designed by Büro 146. 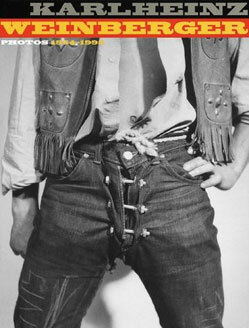 The book shows unpublished photographies by Andreas Züst from the late 1970ies until early 1980. «Knastzeichnungen» is a drawing study as a result of Andreas Züst's short prison stay in the beginning of the 1980s, presumably 1983. 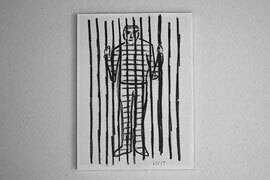 The drawings, mostly A4 sheets, speak very clearly for themselves: the series, drawn on white paper with graphite, felt pen and possibly coal, show detailed drawings of the prison's interior fittings, frottages of different surface structures inside the cell, artistic-philosophical thoughts on the topic of punishment and sketched escape fantasies. It is a series which once again proves Andreas Züst to be an artist to whom, in his phenomenological work, a prison cell can be an insight.